Central Chilliwack, Chilliwack – We invite everyone to visit our open house at 46205 Larch Ave on December 17 from 13:00 PM to 15:00 PM. • 2,013 sq. ft., 2 bath, 4 bdrm bi-level “2 bedroom suite below” – $469,900. 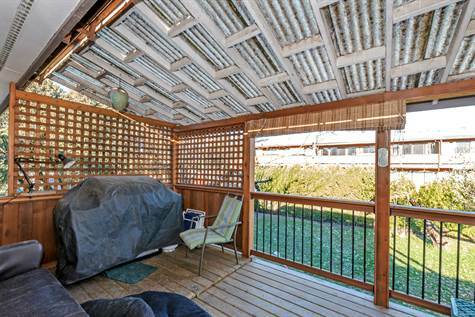 Central Chilliwack, Chilliwack – Perfect location, quiet yet close to everything! Featuring Updated kitchen; Two bedrooms up and a fully renovated 2 bedroom suite on the lower level. New vinyl windows and custom blinds. Recently added Central Air, for your summer comfort. Life time warranty metal roof, almost new high efficiency furnace and hot water tank. All new flooring throughout. The bathrooms have dual flush water saving toilet. Cozy fireplace in Family room on lower level. Private fenced backyard with a garden shed and a workshop. Beat the spring rush, view today!